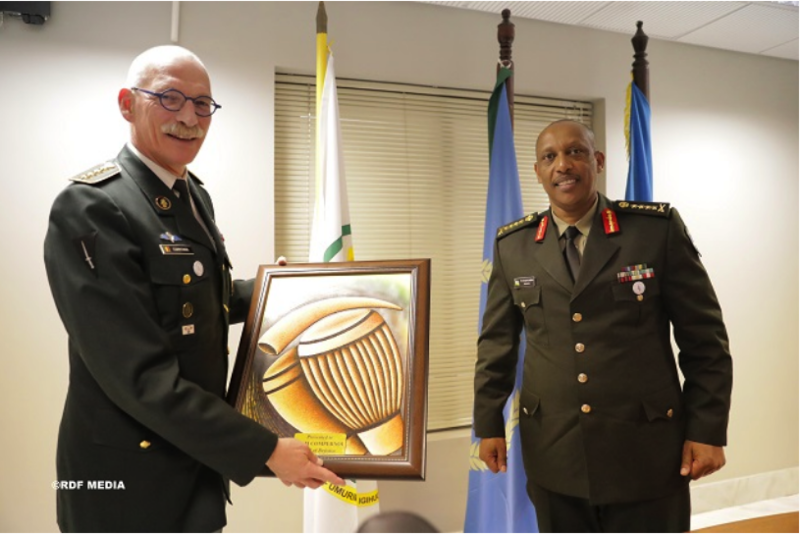 General Campernol together with the Belgian Land Component Commander, Lt Gen Marc Thys and the Special Force Commander, Col Vincent Descheemaeker were in Rwanda as part of the commemoration of the 25th anniversary of the Genocide against the Tutsi. Discussions between the two Defence Chiefs centered on defence and military cooperation as they looked on ways to revive and reinforce it. Prior to that, the Belgian delegation lead by Prime Minister Charles Michel paid tribute to the 10 Belgian peacekeepers that were killed during the genocide in 1994 at former Camp Kigali where a memorial was built in their names. This ceremony was attended by Rwandan Government officials, diplomats and family members of the killed Belgian peacekeepers.